The I-League continued at pace with another excciting round of games that was full of surprises both in terms of the football as well as the asthetics. Aizawl maintained their fantastic season with another home win against Mumbai FC, while Mohun Bagan suffered their first defeat of the campaign against Churchill Brothers. Aizawl kicked off the weekend's action with another home win against Mumbai FC. Kamo Stephane Bayi scored a second half brace to grab another three points for Khalid Jamil's men. Jamil also completed a double over his former club in the process. At the other end, Mumbai are setting all the wrong kind of records and have now gone ten games without a win. League leaders East Bengal also exercised their northeast hoodoo with a vital 1-2 against Shillong Lajong in Meghalaya. Lajong made all the running in the game but Chris Payne scored two goals against the run of play in the first 45, leaving the Reds a mountain to climb. Asier Dipanda Dika scored his ninth goal of the season to pull one back but the Red and Gold held firm for the points. In the other game of the day, Mohun Bagan suffered their only defeat of the season as they fittered away a one-goal lead to lose 2-1 at Churchill Brothers. Prabir Das looked to have put the Mariners on course with an early goal, but the hosts hit back in the second half through goals from Anthony Wolfe and Chesterpaul Lyngdoh. The Red Machines now have two wins from two games under new boss Derrick Pereira. Moving on to Sunday, reigning champions Bengaluru FC won for the first time since Gameweek 3 as they edged out Minerva Punjab 0-1 in Ludhiana with a goal from Lenny Rodrigues. 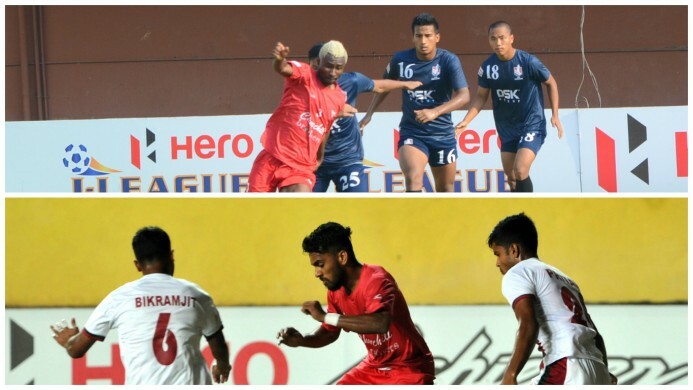 In the weekend's climax game, Chennai City and DSK Shivajians shared the points after a 1-1 draw. Haroon Amiri gave the hosts the lead but Shane McFaul salvaged a point for the Pune outfit. There have been interesting moves throughout the table. East Bengal remain top with 27 points. Aizawl FC are only a point behind, while arch-rivals Bagan have two games in hand but are now six off the pace. 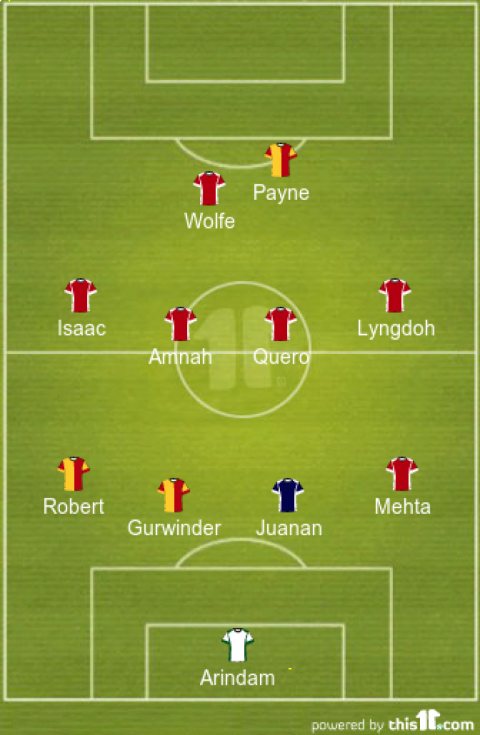 Lajong and Bengaluru have swapped positions. The bottom five are seperated by three points with Mumbai rounding off the table.